Adult owned Comes from smoke free home Look at photos for details and paint apps Dio/background not included No returns I ship first class if package is under 1lb priority mail mail if over 1lb. GREEN HULK MARVEL LEGENDS ICONS 12" ACTION FIGURE LOOSE 2006 TOYBIZ. Condition is Used. Shipped with USPS Priority Mail. INCREDIBLE HULK Diamond Select Toys Marvel Select Action Figure Loose. Condition is Used. Some light paint rub on hair, easily touched up ..Shipped with USPS Priority Mail. Marvel Legends Thor Ragnarok Build A Figure BAF Gladiator Hulk No Weapons. Condition is Used. Shipped with USPS Priority Mail. A Diamond Select Release! This massive 10" behemoth includes fourteen points of articulation and a deluxe rubble base showcasing the aftereffects of a Hulk-attack! 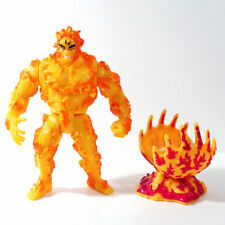 The classic Marvel Comics hero. Toys & Collectibles. The head and torso turn. Arms and legs are multi jointed. Otherwise toy is in good used condition. We are committed to resolve all issues in a friendly and satisfactory manner. Color: As picture show. 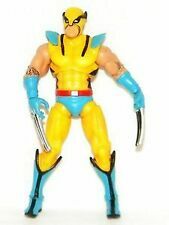 1991 by: Toybiz. I will gladly send extra photos. U.S.A Sales only! U.S.A. Sales only! Marvel Legends Incredible Hulk Movie 6" Inch Abomination Action Figure Loose. Condition is Used. Shipped with USPS First Class Package. Super-Poseable Leaping HULK with Real Leaping Bungie Cord Action Figure. Condition is New. Shipped with USPS Priority Mail. We are committed to resolve all issues in a friendly and satisfactory manner. Color: As picture show. Pls understand. 2003 TOY BIZ 12" THE INCREDIBLE HULK FIGURE PURPLE SHORTS ERIC BANA. Condition is Used. Please View Other Items Also. Shipped with USPS Priority Mail. 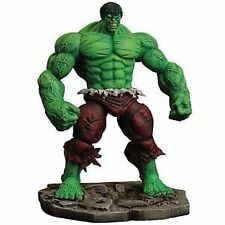 Marvel Legends The Incredible Hulk 7" Inch Action Figure. Also known as "2 pack" Hulk. Originally came with Valkyrie in a 2 pack but this listing only includes one item. Rare collectible Hasbro. 2008 Marvel . Condition is Used. Shipped with USPS First Class Package. Marvel Super Heroes The Incredible Hulk Crushing Arm Toy Biz 1993 New BIN. Condition is New. Packaging has damage, please see pictures Shipped with USPS First Class Package. May take up to 4-8 weeks due to the long distance and strict custom inspection. United States / Canada. So If You Have Any Problem,Ple. We will always do our absolute best to resolve an issue, and be honest and fair in any situation. In used condition. Arms are not attached and shows lots of use. Marvel Legends Maestro Hulk from Toybiz Apocalypse BAF Wave LOOSE Rare. Condition is Used. Shipped with USPS Priority Mail. Playskool Heroes Marvel Super Hero Adventures Hulk and Loki New. Condition is New. Shipped with USPS First Class Package. This will be perfect for opening to display or play with. MARVEL STUDIOS THE FIRST TEN YEARS HULK & HULKBUSTER 2 PACK AVENGERS LEGENDS Item is New in Box **Minor Damage to packaging due to shelf life. Please see photos. ** Shipped via USPS *Alternative shipping options also available ZERO OR LOW FEEDBACK BUYERS MUST CONTACT ME BEFORE PURCHASE Please feel free to reach out with any questions or concerns. Thank you for checking out this item from me. Please browse my other listings as well. I look forward do doing business with you! 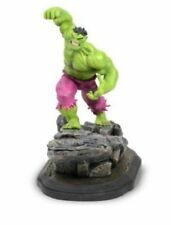 Diamond Select Toys Marvel Select Incredible Hulk 10" Action Figure. Condition is New. Shipped with USPS Priority Mail. Moderate visible wear from play. Tight joints. See pictures for details. What you see in the photos is what you will receive. If it's not in the photos, it's not included. 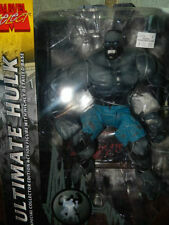 2002 Marvel Hulk The Incredible Hulk Movie 7" Action Figure Open Mouth. Condition is Used. See pics for condition. Shipped with USPS Priority Mail paid by buyer. Marvel Infinite series 3.75" Red She Hulk action figure. New in Package! Marvel Infinite series 3.75" Red She Hulk action figure. New in Package!. Condition is New. Shipped with USPS Package. Marvel Select Avengers Hulk by Diamond Select Toys! However, they are quite expensive. Rest of World. United Stat. Based on the Hulk's iconic green fist from the epic Marvel movie franchise! Use Marvel might to make your drink pop right! Styled after your favorite superheroes - including Hulk and Iron Man - these heroic bottle openers make opening any capped drink a snap! Great communication. I work hard to exceed expectations. Great to work with. Incredible Hulk Movie Abomination Action Figure Marvel Hasbro 2007 Legends 6.5". Condition is Used in played with condition. Shipped with USPS First Class Package. Fast shipping! MARVEL AVENGERS INCREDIBLE HULK SMASH HANDS GLOVES MASK GREEN GLOWING Eyes Shows some wear from play, missing some small pieces of foam on the hands please see photos. Non smoking no pets home. I ship fast!